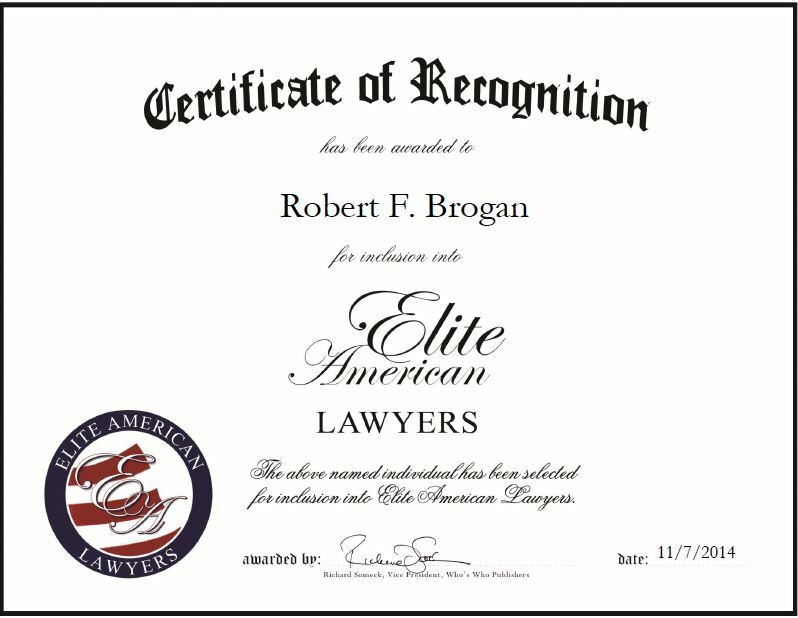 Point Pleasant, NJ, November 7, 2014, Robert F. Brogan, Attorney at Brogan Law Group, has been recognized by Elite American Lawyers for dedication, achievements and leadership in elder law. Mr. Brogan is a nationally respected expert in analyzing public policy issues related to Medicaid benefits and health care, and has been involved in the legal industry for 20 years. A family-oriented individual, Mr. Brogan gained an interest in law because he wanted to guide families through life changes. Certified as an Elder Law Attorney and ABA Accredited, Mr. Brogan concentrates his efforts on the areas of Medicaid planning, special needs planning, asset preservation, as well as estate and trust planning and administration. He works closely with his clients and always offers them the highest quality services. Throughout his career, Mr. Brogan has held leadership positions in the elder and special needs field at the national and state level. He takes great pride in his work and is pleased with the path his career has taken. Looking toward the future, Mr. Brogan plans on expanding into the asset protection area, seeking opportunities to protect individuals against government attacks on their wealth, and keeping family legacies intact. This entry was posted in Family Law and tagged asset preservation, elder law, estate and trust planning, health care, Medicaid, special needs. Bookmark the permalink.